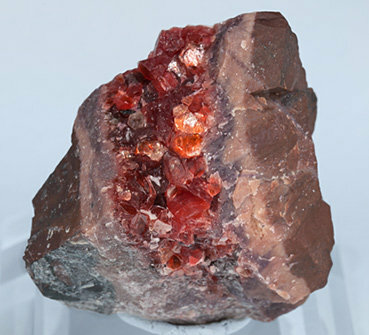 A group of very well defined crystals on matrix. They are bright and have a very intense color. Ephesite, a phyllosilicate of the mica group, is a very rare species, and more rare in crystals of this length and quality. The sample is from Charles Key.